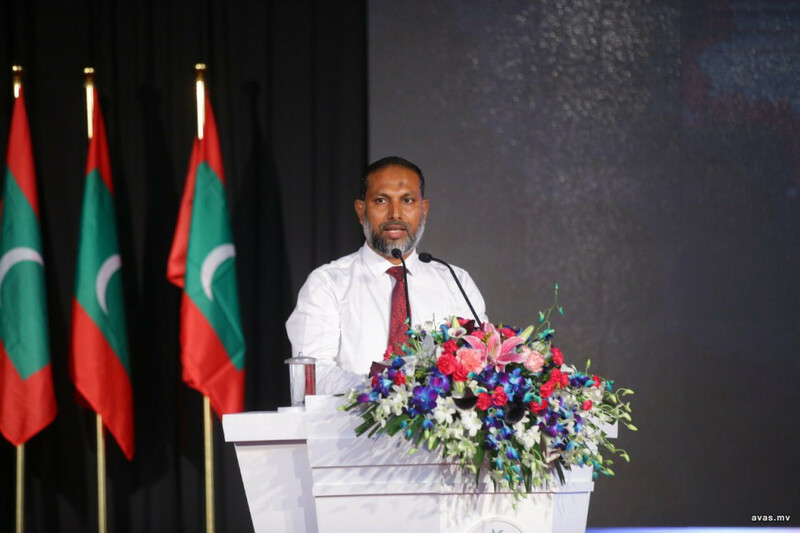 Home Minister Imran Abdulla has stressed on the importance of discipline in order to be a person capable of serving the country. Speaking at the ceremony held to mark the Martyr's Day, Minster Imran said it is not just the infantry and power of a country's military that depict the strength of a country, and stated the importance of the economic strength of a country. While being a martyr for the sake of one's religion and county is one way of serving the country, one can also serve his country by contributing through the military and economy, along with the beautiful character and discipline one possesses, said the minister. In his remark, the minister further said the military personnel of the country are the first and foremost people to defend the country in times of danger, risking their own lives to protect the religion and nation. The citizens of the nation are able to sleep in peace due to the sacrifices and efforts of these men and women, noted the minister. Minister Imran urged all students to read the historical texts and records on the sacrifices made by the country's martyrs and rekindle and amp their nationalism through its lessons.